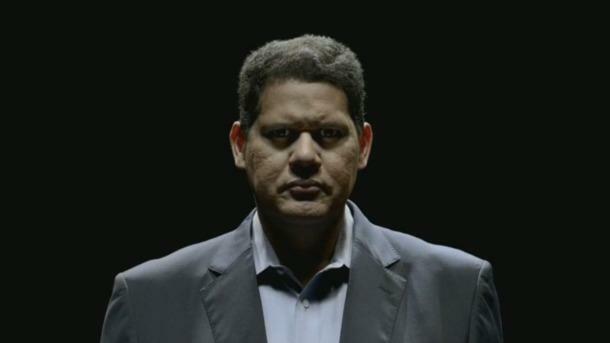 "Nintendo is down and out." That was the atmosphere of the gaming world for a few years while the company struggled to get its Wii U console up and running and vehemently refused to adhere to the growing trend of smartphone gaming. Times are getting a little better for the company, but as it stands now, Nintendo of America President Reggie Fils-Aime would't have it any other way. In an interview with Recode, Fils-Aime says that Nintendo's refusal to play by the rules puts them in a position that Microsoft and Sony should be envious of. Why? Because those two have nothing to set each other apart from one another other than their brand names. "If you look at the other two competitive platforms, fundamentally, what's the difference. They have a lot of shared content. Look at it from the standpoint of, what don't they have? They don't have our games. They don't have Mario and Zelda. I'd much rather be where Nintendo is, with a differentiated platform, differentiated set-up experiences that we can provide uniquely to the consumer." While he wishes more third-party companies would take advantage of the Wii U, he says that sharing too many titles would cause Nintendo to lose its important distinction from its competition. That's one way to look at it, and I agree. What is the difference between the PlayStation 4 and the Xbox One? Two or three exclusives a year? So far, all the rivalry has really produced is a lot of arguments over resolutions and frame rates. Neither really has a gaping advantage in terms of exclusive games yet, and the Kinect wasn't as successful as Microsoft had hoped. If you want to play Nintendo games, you have to buy Nintendo products. Plain and simple. This philosophy has allowed it to make a wonderful social network which connects all of its first-party games together, and it gives it the ability to give benefits to third-party companies who happen to jump aboard. Nintendo also has the ability to lure in new generations of gamers with accessible games and cement a lasting sense of nostalgia that older Nintendo fans like myself now have. The idea that Nintendo is down and out or should fall in line with the mobile market is silly, and it stems from the naive idea that "if you are not in first place, why even bother?" Not everyone is on top 100 percent of the time, and Nintendo has enough money to weather the storm until it can find a new way to move forward without sacrificing its values.